designed to love: Freebie Friday! We were driving home from Chic Fil A, one night. It was my little sister's eleventh birthday, and her friend Em was in the car. One joke was all it took: As we drove by a darker part of town, filled with neon lights and late night diners, I said, "Let's get tattoo's". Of course, the girls knew I was only kidding. No one in their right mind would offer body art to a pair of eleven year olds as a birthday gift! But the comment led to a creative conversation of the crazy pictures we would choose to ink ourselves with. My sister said she'd opt for chicken. Why? Because it's delicious. Em said she would want an anchor. When we asked her why she'd choose an anchor, her response was simple: "Because... tough girls wear anchors." And just like that, it stuck. 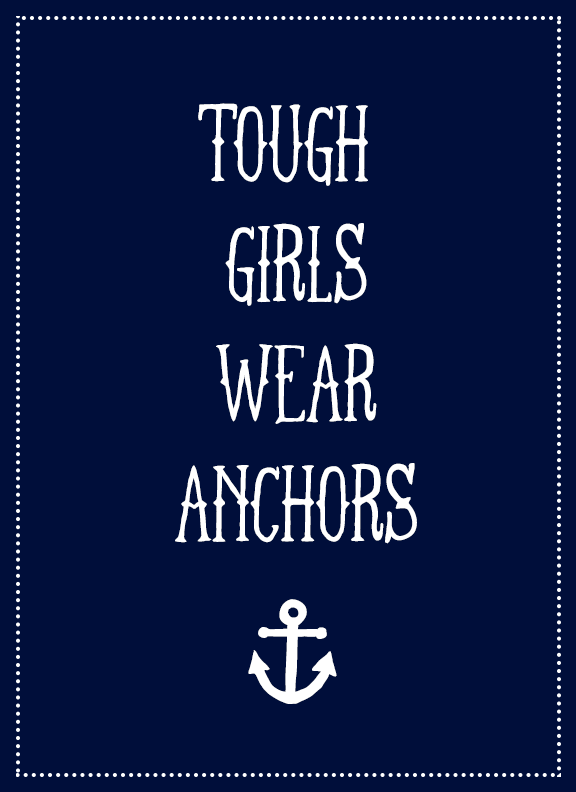 Anchors now remind me to be strong. When the world seems hard, and the days seem rough, thinking of our giggly conversation in the car reminds me to take troubles with a grain of salt and to live life lightheartedly. I decided to make this print to hang on my wall as a reminder of that night, and an inspiration to be strong. Anchors, to me, represent determination, perseverance, and, of course, a car full of giggly girls and nights out at Chic Fil Ay. I also made these pint-sized images to use for your backgrounds on your mobile phone! The image on the left is great for your IPhone's lock screen, while the image on the right is a great home screen background. This way, you can carry a little pocket inspiration to encourage you to face life head on, with a smile on your face and an anchor on your arm....or wherever. Hebrews 6:19 - This hope we have as an anchor for the soul. I have always wanted to get an anchor tat, for sure! I love them (and everything nautical). I wanted to get an anchor tattoo with my sister because 'we anchor each other.' she wasn't into it :( BUT! 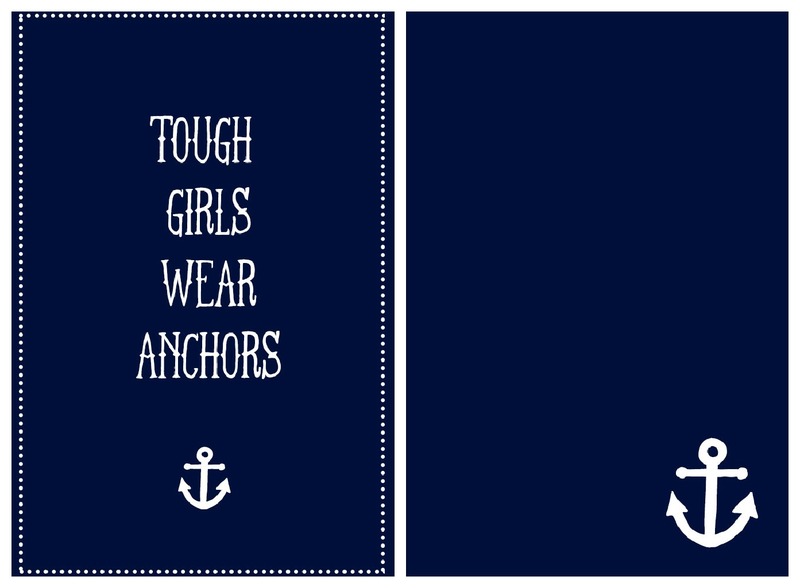 I love this 'tough girls wear anchors. OMG LOVE LOVE LOVE! 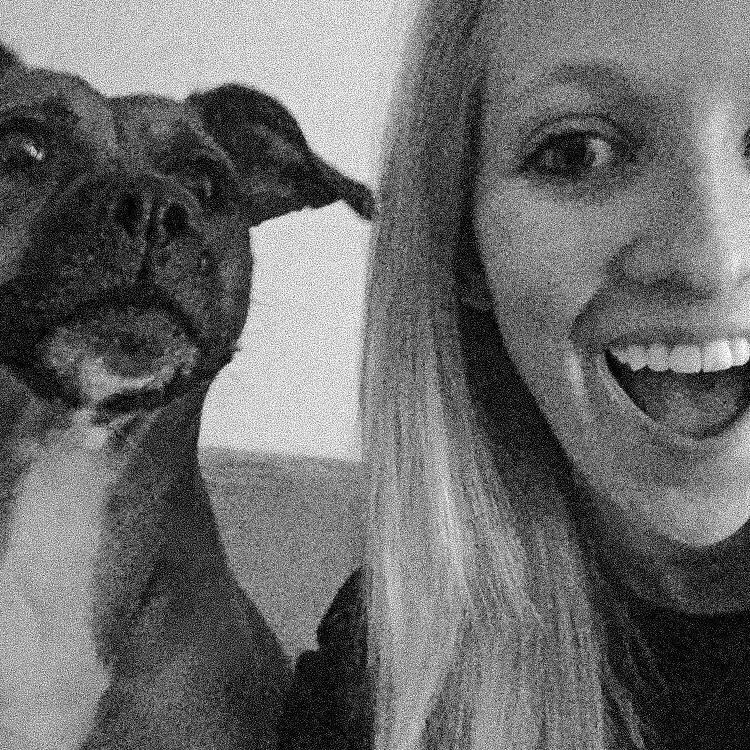 girl, you rock at life. Such a great, simple design! So cute and I love the story behind it! def LOVE those images you created! i will for sure use these! thanks so much for sharing! !